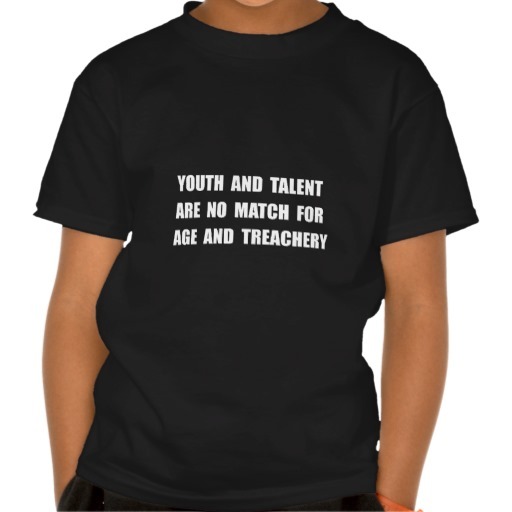 I saw this slogan “Youth and talent are no match for age and treachery” on a tee-shirt recently. It prompted me to ponder whether young people coming to London, our fine Capital city would find this to be true of their entrepreneurial experiences. Imagine it you have been to London for a few meetings, on the whole are getting a warm reception to your ideas and are being advised if you want to scale you need to be in London. You are from Newcastle, Cardiff, Belfast, Manchester, Leeds, Dublin and Bristol as examples, big enough places to have a thriving start-up scene where you have made a major impact, but not on the scale of an International city like London. The other point being these cities/towns are small enough for the network to know and have background knowledge about who you are likely to be networking and doing business with. 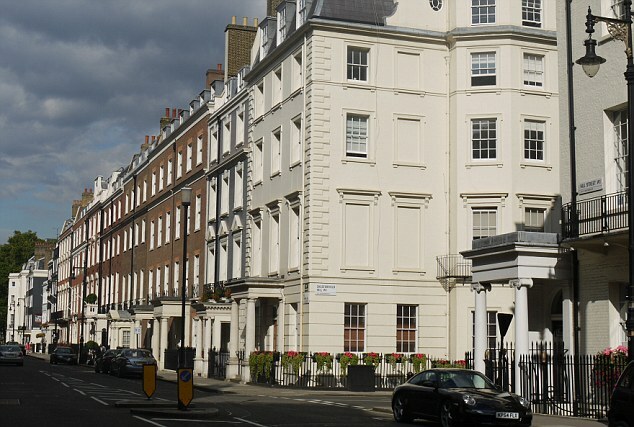 You land in London, managed to get enough money together to cover the first 6 months rent/deposits and find yourself in the backwoods of London because it is staggeringly expensive, so either a shoebox bed sit or sharing with some other young people who may or may not be from your business world. But it is all very exciting, maybe even slightly scary and adrenalin filled, but you have confidence so you hit the circuit you have read about on-line. So many meet ups, difficult to judge which one or where in the city to spend your time and funds to attend, never realised it was so big. You find some, larger than life on-line but when physically there very lean pickings on numbers of connections, or lots of service companies wanting to sell you something. The good ones you find in the end, as your funds are rapidly diminishing, but here you are one of hundreds of dynamic big play companies that seem to know everyone and have people from all corners supporting them. How can you make any impact above the noise and you ponder whether you need to raise money for marketing, something you swore you were never going to do. Now as you head is turned a little, the big deals not coming as fast as you would like, cash flow going to be a problem, then they appear. A friendly face, a few drinks maybe that you are grateful for given you can’t believe the prices even in outlying bars, and someone who is taking you seriously at last and really thinks the plan has legs. Perhaps we could meet to discuss this some more, say in a weeks time, come over to my club, office, boardroom, lunch, my goodness these people seem like players. Maybe even some of their contacts have been on TV or linked to Westminster, perhaps I have got something, I was beginning to have doubts. But surely they have been here for years and would know the good from the bad, nothing to lose in talking to them some more, so you do. It is all very comforting, they think you are great and use terms of corporate business that you have heard once maybe but don’t really understand. They over a few meetings ponder whether it is so strong an idea that you need to raise a lot of money to give it the best chance of succeeding globally. You were thinking low hundreds of thousands they are now talking millions, but again they do this for a living surely they must know the reality of this. You are now in a turmoil , the plan had been to eke out an existence, get a few big name trials under way, and then build on that experience to hone the product. Now this is all much more exciting, less pain, faster progress perhaps off the back of the funding, which they in their smart suits and fancy offices say will be highly probable given the timing of the market. Your gut is telling you something, a boy/girl from x city just landed in London and they want me, gosh they have already introduced me in passing to the business man who built something major. A name I had never heard of but it all sounded familiar and he was so well dressed, he in turn was impressed with my idea and wished me well. Then they produce contracts, many pages of contracts, clause 29 A etc, and whiz me through it, because whoever reads the detail of contracts and they want me to take it away to ponder it for a week so as not to rush into anything. So you do and having cleared your head the next day from the drinks they supplied the night before you begin to read, lots of detail, commitments, warranties, financial jargon, you begin to get that sinking feeling about how big a deal this all going to be and it is all riding on you. So you read it again even more slowly, using Google to check the terminology to make it slightly clearer, now you see they want money from you up front to be retained as they put it, to act for you in this fund-raising process. You were sure they said at one point they had the money, a fund surely not looking out for others to invest, and my goodness the amount of money they want per month and a major cut of the money raised. Must be some mistake, the lead guy you have a great relationship with over the last few months must have sent the wrong type of contract, he knows we are a start-up with limited funds. So you ring him to check and after a roundabout conversation about how they have already started the process and had positive feedback from quite a number of interested parties, he while laughing and smiling all the way, says of course they need to be retained that’s how these things work. They were sure given you are the brightest of the bright and worldly-wise you of course understood that, as they would not have invested so much of their partner’s time in this due diligence process. Which you know does cost money in its self as you will be aware, but we were willing to waive that as you were an outstanding opportunity but he had still to do great work internally to convince the rest of the partnership. So he hoped given all the time and thinking that had gone into this and enhancing your reputation on the circuit it would be only a small step to you signing this off. You are caught cold and don’t want to seem as if you are not part of the big game and a potential player and play for time by offering to come back to them in a few days with a decision which you are sure will be fine. And you are shell-shocked, you can’t believe after all this time thinking they were going to fund you and work together as a team to build out the company, that they actually want money from you to fund them. How could you have misunderstood you really like the people and think their experience and contacts would be amazing and the thought of going back to square one again with out that weight and support is so depressing. Maybe you were being naive, maybe this is the way business is done, they have spent a lot of time on you, surely they don’t do that with lots of companies. So the pressure builds and before you know it they have called and you have agreed to meet them to move the process along and you are in the boardroom with two senior partners all smiles and positivity. The answer to all this is you are not alone, this is the business that this world lives in day-to-day, they are sellers of their services, always there, and as they say “there is no such thing as a free lunch”. Yes they will trawl through dozens of deals, feigning surprise when most of them back off at the mention of retainers and fees because that is the world where it is how they exist. Never mind if and when retained they can actually raise the funds from their network of private wealth clients, angels and small funds. These are the good ones, real offices, partnerships and track records, beware even more the out-and-out con men that have no intention of doing any real work but are there just to fleece you for every penny you have, and they exist wherever there is money on the table. If it seems too good to be true it generally is, all entrepreneurs get desperate at times, the answer is not to give in to that pressure, desperation or conversely positive hype that skews your thinking. Even if you don’t lose money, it is the time spent and opportunity cost that hurts. There is very little glamour in London, plenty of hangers-on and fair weather friends, it is all about learning the game, hard work and setting priorities, even then very few come out the other end smiling. But it is a learning experience and will ground you for many things by taking on the challenge. 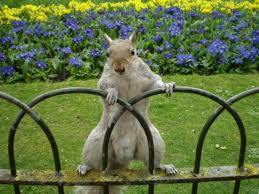 So don’t shy away from it, or retreat to the small ponds, rather embrace it with an open mind and get street wise quick. Better still find your own trusted network and home team…. as it is going to be a long game.